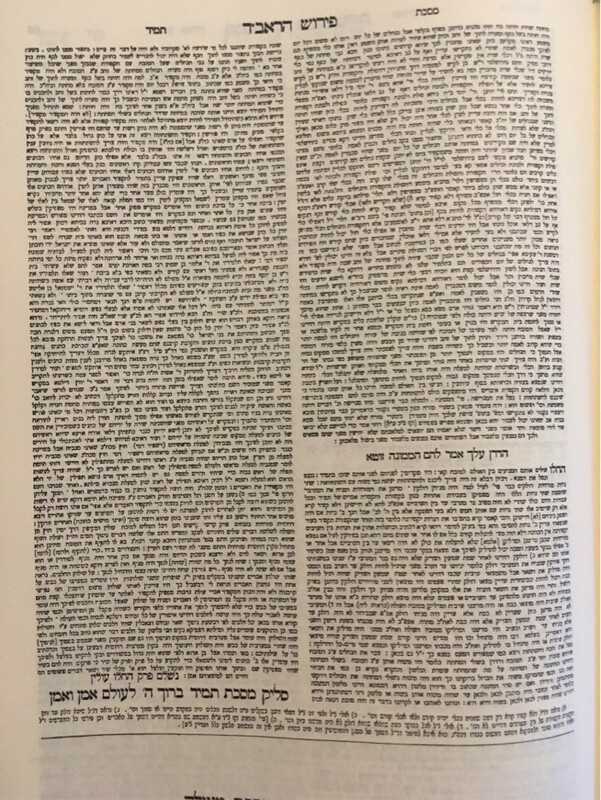 Here is an online source, and here is the source as it appears in the standard Romm edition of the Talmud. Piskei Teshuvot 128:92 quotes a discussion and recommends being machmir, whereas Yalkut Yosef 128:87 recommends not. R. Eliezer Waldenberg has a responsum which discusses this. He cites the Sefer Hamiktzo'os (mentioned in other answers) and then quotes a bunch of sources (some cited in the above answers as well) that we are not concerned about this. The Raavad at the end of Mesechta Tamid quotes the Sefer Hamiktzo'os (assumed to be authored by Rabeinu Chananel): When there is a niddah in the home of a cohen he may not ascend the duchan [for Birkhas cohanim]' as long as she remains a niddah, since we are concerned that he may touch something which she has touched and he will become tamei. Rav Yudan said "Any cohen who lifts his hands [recites birkhas kohanim] and his mother, or his wife, or his daughter are a niddah' and he enters the house where the niddah is, his prayers for Yisrael are toevah (abomination), and he also causes his children to be lost from the world. And not only this, but he cannot be motzi any Jew with his obligation. And in reference to him the passuk states (Yeshayahu 1:15) And when you lift up your hands, I will turn My eyes away from you. and f he sets aside a room for her, and she does not leave there as long as she is a niddah it is fine. The Pri Chadash (OC 128:30) quotes the Raavad, and he adds: These things should not be publicized since they are not ikar hadin (the mainstream law), and [it is better to] leave the people to transgress unknowingly rather than knowingly. Thr Raavad says that for some of the things listed above in the Sefer Hamiktzo'os refer only to Baalei Nefesh, (people on a higer spiritual level), but that which he says about birkhat kohanim is applicable to everyone... but it is a wonder if we say that even today (when the is no Bais Hamikdash) the words of Rav Yudan would stil be applicable. At the end of his words he says: Vehamachmir Yisbarach. (One who is stringent in this will be blessed. The sefer Shailos Uteshuvos Beis Ephraim says that this may be the reason why (outside of Israel) Birkhat Kohanim is not recited daily. And after quoting the Raavad and the Pri Chadash he adds who can not be concerned about this as the gaon Rabeinu Chananel, author of Sefer Hamiktzo'os who was widely known for his great strength (in Torah) quoting in the name of Rav Yudan who was one of the Amoraim says that his prayers are toevah, and he also causes his children...etc. and who is the man who wanting a bracha instead causes a klalah (curse). And although the Pri chadash says not to publicize it I must do so so that people should not speak out against it, so let everyone know that so is written in the Sefer Hamiktzoos and it is quoted in the Raavad, and also in the Sefer Machzik Bracha (of the Chida). Not the answer you're looking for? Browse other questions tagged kohen-priest niddah birchas-kohanim . Why must the birkas kohanim be “with love”? Could a Levi be the one who leads Birkas Kohanim? Why can a husband eat with his wife who is a niddah in public without a heker? Does one need to get permission from ALL the Kohanim to recite Birkas HaMazon?